World Wetlands Day took place on the 2nd of February. The Letsolo team would like to take the opportunity to educate the community regarding why it’s so important for us to protect these wetlands – and how exactly to go about it. A wetland is any portion of land where water covers the soil, either permanently or on a seasonal basis. Wetlands include swamps, marshes, bogs, lakes, mangroves and more. Did you know that South Africa is home to 21 Ramsar sites – which are wetlands of international importance? Without wetlands, there’s no water. It really is as simple as that. Wetlands also store carbon dioxide which, in turn, slows down the impact of global warming. Along with that, they are known for being one of the most productive ecosystems in the world – they provide a thriving habitat for many different species, including fish and other wildlife. Further to this, wetlands store floodwater, reduce soil erosion and help to keep water clean and free from sediments. Unfortunately, since the year 2000, South Africa has lost over half of its wetlands. From a global perspective, two thirds of the world’s wetlands have been destroyed. It’s time for us all to take action and put a stop to this! 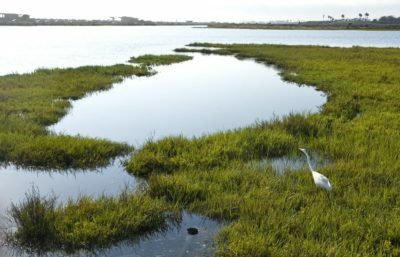 How Can I Protect Our Wetlands? We are all capable of making a difference when it comes to preserving our wetlands. The first step is to join a program dedicated to saving wetlands in your area. Get in touch with your local municipality or environmental organisations to find out if there are currently any groups backing this cause – if not, take the initiative and start a program yourself. Be sure to report any illegal activities, such as dumping in wetlands, to the authorities. Avoid littering and pick up any existing litter that you see whenever you’re out and about. Dispose of it appropriately in a rubbish bin, or recycle it if possible. It’s a good idea to start planting local plant species whenever and wherever you can too. These plant species help to maintain the ecological balance of local wetlands. Oh, and remember to use pesticides sparingly! If you have any questions regarding the protection of wetlands within your community, please don’t hesitate to get in touch with our team!